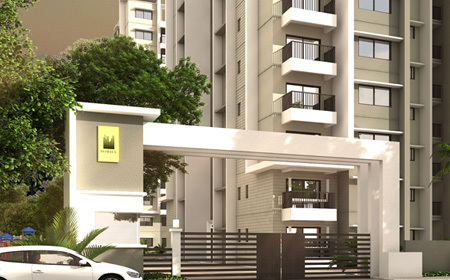 This pre launching lavish project by Vaswani Group is sure to take away all your worries. With an experience of 25 years and delivering 40 successful projects Vaswani Group has many happy customers in their list. Vaswani Menlo Park is spread on a large 6 acres of land which includes 330 units in total offering a choice of 2 & 3 BHK apartments each ranging between 1100 Sqft-2200 Sqft. Brookfield Junction, opposite to Vibgyor School, Vaswani Menlo Park is going to be one of the largest integrated township projects in the city of Bangalore. Brookefield is situated close to the IT corridor offering smooth connectivity to different parts of Bangalore through the Outer Ring Road (ORR) and Old Airport Road. It is just 7 minutes away from Marathahalli via Road, 8 minutes away from EPIP Zone via ITPL main road, 9 minutes from Whitefield via Main Road, 11 minutes from ITPL and it also shares a very short distance from Electronic City in South Bangalore.This locality has extensive city bus connectivity with a wide range of services offered by Metropolitan Transport Corporation (BMTC) hence reducing the pain of traveling to other parts of the city. Today, as we complete two decades of excellence, we have developed more than 6 million square feet of built area including homes, offices, technology parks, malls and hospitality projects in Western and Southern India, and have clients such as Wipro, Sasken, Pantaloons, SAP Labs and Toyota, to name a few. As a result, our body of work - from value-for-money apartments to ultra-luxury, city-centre lifestyle apartments to Retail, Hotel and Campus type developments - has been repeatedly awarded and nominated by industry associations including CNBC AWAAZ CRISIL for the CREDAI Real Estate Awards.